Updating your home is a good thing to do, especially when you update it with ROOMS-CANADA. From start to finish it all happens easily, conveniently and professionally. Shopping at home has never been easier. You'll be glad you chose ROOMS-CANADA for the ROOMS in your home. Make an appointment on-line by simply clicking the link to get you started or contact us by phone 1-888-588-0234 (toll-free) for your free in-home estimate. On the day of your appointment, one of our friendly, Professional Sales Representatives will arrive at your home to show you samples. 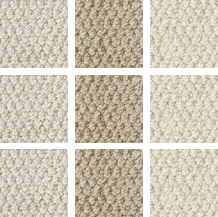 You will now be able to look and match the samples with your existing decor. Our Representative will diagram, and measure the areas accordingly. We will then be able to provide you with a fully installed price to give your home that new look you have been waiting for. On the day of your installation, our experienced and trained professional installers, who handle every job with care, will arrive at your home. Upon completion, they will review the completed installation with you and ensure that your are completely satisfied.